Programming,coding. Data management. Social network, computing. Information. Internet connection. Business marketing. School and education. Medicine. 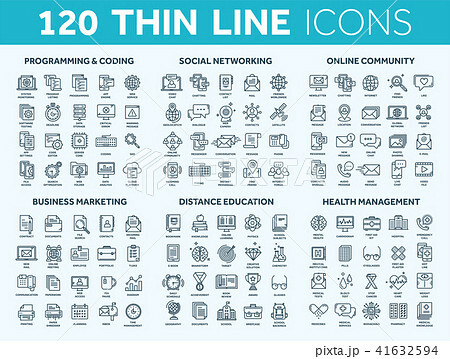 Thin line blue icons set. Stroke.